Make Sure your Business Broker can Close! Closing your sale means officially signing over your business to the buyer. The buyer gives you check and you hand over the keys. That sounds simple enough, right? Yes, if you spend time to prepare documents for closing and ensure nothing is overlooked. The process of selling a business is complex. There are federal, state and local laws you need to follow, tax concerns and confidentiality issues to deal with involving prospective buyers and employees. Once you’ve maneuvered through this maze and agree on terms with a qualified buyer, don’t let a typo, minor slip-up or omission interfere with a quick closing. Prepare a generic template for the end of the sale before you’ve even placed an ad to sell the business. This reduces the likelihood a buyer will balk at a mistake or omission and delay the sale – or worse yet, walk away from it. The buyer may want to do a final run-through before closing to check equipment, inventory and other physical assets. You may need to modify the purchase price if any inventory has been sold or fixtures need replacement since the initial sale price was set. Choose a closing day that works for all parties involved, and sign documents with lawyers present in an escrow office or your lawyer’s office. An escrow agent may be used for a “step-by-step” approach instead of a formal closing. Parties sign closing documents and forward them to the escrow agent over days or weeks. Once all signed documents are received, the agent releases funds to the seller to close the deal. The end results are the same regardless of the method you choose. You get the money and the buyer gets the keys. A closing or settlement sheet contains all financial transactions agreed upon before closing. These documents include a promissory note, UCC financing statement and security agreements. Gather copies of lease and amendments to lease. Most commercial building leases have a transfer or lease assignment clause. 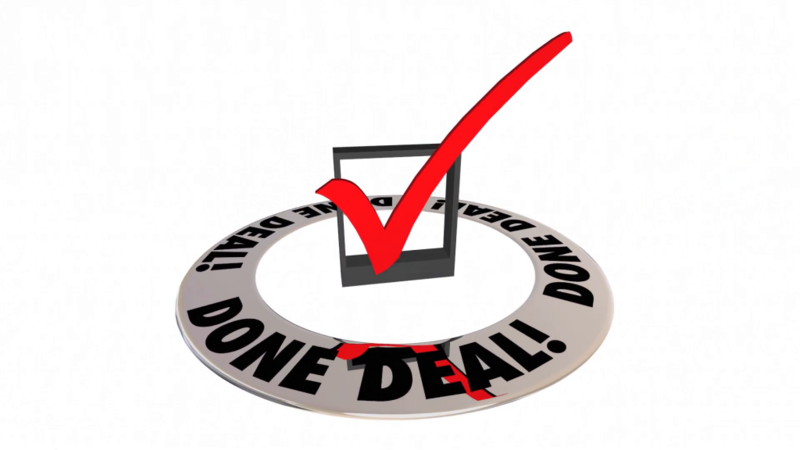 If a new lease has been negotiated instead, make sure documents indicate this and that all parties agree to the terms. If you are staying on as a consultant during the transition period, this document indicates the terms. The bill of sale is proof of sale and shows the business has been transferred to a new owner. Identify leased items and assets to be retained by the seller. If you’re transferring work vehicles to the buyer, include the corresponding paperwork. Include forms to transfer ownership of copyrights, trade secrets, patents and trademarks if thee intangible assets are part of the sale. IRS Form 8594, which shows an identical allocation, must be filed with buyer and seller’s income tax forms. Have you been thinking about selling your business? Talk to a Business Broker today. Contact us today for a confidential and free business valuation. We know how to close! See you recently completed transactions here: SOLD BUSINESSES.